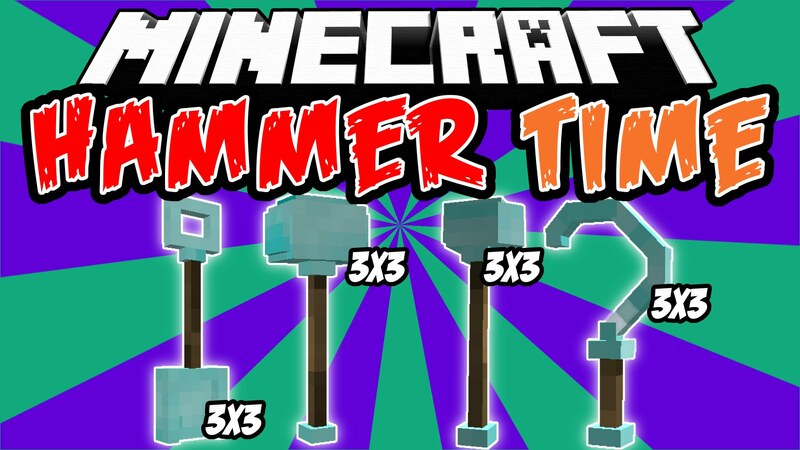 Hammer Time Mod 1.12.2/1.7.10 is a mod that simply extends the vanilla materials to provide you with some simple but good looking sledgehammers. The hammers are configurable in terms of being able to disable any of the hammers if you wish to do so, tweak the mining speed of the hammers yourself and the durability to fit your Minecraft experiences. Tired of always have to include Tinkerers Construct in your modpacks to be able to tunnel into the mountains in a 3×3 radius or just looking for some fancy looking hammers? This is the mod for you. Make sure you have already installed Minecraft Forge and Bibliotheca.